Mon, Oct 05 2015, 10:09 AM by Jeff Fisher to Costa Rica Jaco Beach Central Pacific Area Real Estate Facts! Tue, Jul 01 2014, 11:34 AM by Jeff Fisher to Costa Rica Jaco Beach Central Pacific Area Real Estate Facts! Wed, Jun 18 2014, 3:44 PM by Jeff Fisher to Costa Rica Jaco Beach Central Pacific Area Real Estate Facts! Wed, Dec 25 2013, 6:28 PM by Jeff Fisher to Costa Rica Jaco Beach Central Pacific Area Real Estate Facts! Thu, Nov 28 2013, 7:49 AM by Jeff Fisher to Costa Rica Jaco Beach Central Pacific Area Real Estate Facts! Read more at Costa Rica Jaco Beach Central Pacific Area Real Estate Facts! The global financial crisis is being felt in Costa Rica, but not as dramatically as in the United States, Europe and elsewhere. Costa Rica is one of the major destinations of direct foreign investment (DFI) and is #1 in Central America according to the 2008 report of the United Nations Conference on Trade and Development. The chief executive of Costa Rica's central bank, Francisco Gutierrez stated that the country should not experience major economic impact from the global financial crisis that is presently affecting most world markets. Costa Rica has minimum involvement in international securities markets and the state banks maintain substantial reserves and tangible investments. The International Monetary Fund (IMF), found that Costa Rica is in a significantly better position to respond to global economic shocks now than in the past, thanks to a marked improvement in public finances, sizable foreign exchange reserves, steps taken toward a more flexible exchange rate process and measures adopted to strengthen the financial system. Furthermore, the Costa Rican stock exchange has not experienced any major changes as a result of the turbulence affecting world financial markets. The chief executive of Costa Rica's stock exchange, Jose Brenes, asserted that no major effect has been felt locally because the local exchange concentrates on fixed-yield, debt securities, and not shares of public companies that have been degraded in most global markets. Costa Rican is less dependent on the U.S.A. for exporting its products than in the past. This is because of the increase in sales to Asian, Central American and Caribbean markets. Exports to the U.S.A. went from 47% in 2003 to 35% in 2007, according to data released in August 2008 from the Promoter of Foreign Trade (PROCOMER). However, the U.S.A. remains the leading destination of Costa Rican exports. Last year, Costa Rica exported a total of $9,343 million in products, 35% to the U.S.A., 21% to Asia, 21% to Central America and the Caribbean, 15% to Europe and the 8% to other destinations. With the U.S. economy continuing to show weakness, Costa Rica is increasingly betting on Asia to fill the trade gap. Costa Rican exporters have developed new business partners in China, Japan and India, while Asian companies, in turn, are boosting their exports to Costa Rica. Trade between the regions should keep growing thanks to a combination of factors, including growing demand for other products in various Asian markets, more demand for Asian products here, and an increasing number of bilateral free trade agreements. 1. Growth: The IMF reported that the output of Costa Rica will grow a little more this year than what the Central Bank had previously forecast. It also added that inflation will be lower than expected. In the recently published World Economic Outlook, the IMF expects growth of the Gross Domestic Product to be 4% this year, more than the 3.3% estimated by the Central Bank. This GDP growth is almost at the level of entire worlds projected growth of 3.9%. 2. Inflation: The IMF predicts 13% inflation in Costa Rica during 2008. The Costa Rica Central Bank predicted 14.2% inflation this year. During first three quarters of 2008, inflation was 11.83%. In 2009, both the IMF and the Central Bank agree that inflation will be 9%. 3. Production: According to the Central Bank, production has increased 3% in August as compared to the same month last year. This increase reflects the annual variation of the Monthly Economic Activity Index, which records the goods and services made or provided in Costa Rica. This index indicates that production has slowed down since early 2007 when it increased to almost 8%. 4. Competitiveness: According to the 2008 global competitiveness index, published by the World Economic Forum, Costa Rica has improved four positions, from 63rd to 59th. This increase indicates that in Latin America, only Chile (28th), Puerto Rico (41st) and Panama (58th) improved greater than Costa Rica. 5. Unemployment: The most recent report from the International Labor Organization (ILO) points out that Costa Rica has the lowest rate of unemployment in Latin America and the Caribbean. Costa Rica has finally approved the Central American Free Trade Agreement (CAFTA). Recently, Costa Rican lawmakers approved the final law necessary to implement the agreement and it is now scheduled to take effect on January 1, 2009. Costa Rica continues to attract multi-national investors. Hilton, is building new projects and expanding their presence in Costa Rica, with plans to open 150 new hotels in Latin America during the next five years. Sykes, opened its first Costa Rican call center in 1999 with the purchase of Acer Information Services of Heredia. Now the company, which is a group of global businesses delivering business process outsourcing services, plans to add 630 new employees. Currently, SYKES has 2,500 employees, 2,370 of whom work at its facility in the Global Park Free Zone in Heredia. The additional employees will be working at a new $4 million facility in Moravia. Intel Corporation, the multi-national company employs hundreds of local engineers as well as other workers needed to maintain their huge facility in Belen, Heredia. Intel is now launching five new computer processors that have been assembled here by Costa Ricans. The new processors, three for servers and two for PCs, operate faster than their predecessors, and will be on the market worldwide in the near future. Procter & Gamble announced it has contracted with 100 professionals and is looking forward to hiring 150 more bilingual business experts to fill out the staff of its strategy center that it will open at their offices in the ForumBusinessCenter in Santa Ana, Costa Rica. Proctor & Gamble already has about 1,000 persons working in its Global Business Services center, which manages supply, accounting and finance here for its Latin American operations. The purpose of the center is to come up with ideas to increase the efficiency of the company's operations on the continent. Procter & Gamble's Costa Rican business center represents a $60 million investment, and occupies four 4-story office buildings and it's already the largest of three new Global Business Service centers worldwide (the others are in Europe and Asia). GBS Costa Rica currently employs 650 people and expects to reach 1,200 bilingual, college-educated employees. Amazon, the world leader in internet sales, is opening its first Latin American customer service center in Heredia, Costa Rica this year. The online retail giant will employ 300 full-time representatives, and 400 seasonal workers will be hired during the holiday season so the facility can provide efficient phone and e-mail support for its customers. Costa Rican tourism is growing, in spite of the global crisis. Costa Rica tourism is up 10% in the first nine months of the year 2008, and in December well-healed travelers continue to purchase property here. The Costa Rican Board of Tourism (ICT) announced that tourist developments so far this year celebrated their 2,000,000th visitor.. Since Costa Rica attracts worldwide interest, to a certain extent it is insulated from economic problems in the real world. Costa Rica attracts adventure and eco tourists and these well present $600-million dollars of foreign investments in the country. If the ICT declares projects tourism friendly, the developments receive tax exemptions and other benefits. The list of firms involved includes hotels such as Ritz Carlton, Hyatt and Mandarin Oriental. Obviously, these multinational companies invested in plenty of due diligence before deciding to spend millions of dollars in Costa Rica. ICT estimates that the overall investment expected for 2008 will be no less than last year, which brought $800 million dollars from foreign investment. Costa Rica is an emerging economy that continues to attract multi-national companies relocating and growing their businesses here as well as international investors that have found it to be an economic safe haven. Since 1992, I have been fortunate to live and work in Costa Rica. I have adapted to the Tico culture and adopted their language. Additionally, I have encountered many challenging situations here over the last fifteen-years. With over 25 years of business experience, I write about subjects that are interesting to me and of interest to those who seek my advice. Hello from my beautiful semi-beachfront bungalow home in Playa Hermosa, just 8 minutes south of Jaco. I just got done posting in our "Costa Rica in the News" section that the town of Jaco was awarded a Blue Flag. We have one blue flag now and well on our way to having the actual beach receive a blue flag. And we are getting a beachfront boardwalk! For those that have lived here a long time, (15 years for me!) this is almost unbelievable news! I am always being asked how the continual negative real estate news from the States is affecting our business here. I always say the truth, maybe things are slower by about 10%-that's all. Costa Rica is still unknown to many N. Americans and still has a tremendous allure to those that have never been here. The publicity surrounding the vast quantities of "Baby Boomers" who are active and interested in either retiring full time or half-time to Costa Rica is constant. Articles about vacationing in Costa Rica appear daily in my Google alerts about Costa Rica; today I received articles from Modesto California and several blogs describing what an incredible country this is. But how's the market you ask? Will there be a glut of condos available that will drive down the price? The facts are that most of the beachfront condos currently under construction are sold out. Many are currently being "resold" at a profit, anywhere from 10-40%. The situation in the States is affecting us here, in that many developers here with new condos to sell will have to be more reasonable in setting their pricing! The "flippers" are accepting less than they had thought they might be able to charge for their investments of only one year ago--but there are still profits to be made. These are all positive signs for the moment because Jaco condos currently do not have the right to charge the same high prices as their Mexican or Hawaiian counterparts. Not yet! a. better weather here than up north (6-10 degrees cooler). b. better availability of water for developers and locals alike, see our news section! e. the proximity to the nation's largest airport and capital San Jose is a real asset; after all this is a small country! Yes I love the Jaco area. One of the smartest moves in my life. And when the highway is finished around July 2010, it will be an even greater joy. Although I agree to a number of things, I must take a moment to clarify the area where my expertise and knowledge are strongest, the Central Pacific. 1. Virtually dead RE market, prices dropping?. Not here! We've seen price stabilization in the last six months, but no real price drops except on those properties that were clearly overpriced in the first place. Our office is busier than same time last year. Other RE agents here tell me they have picked up the pace in the past several months as well. 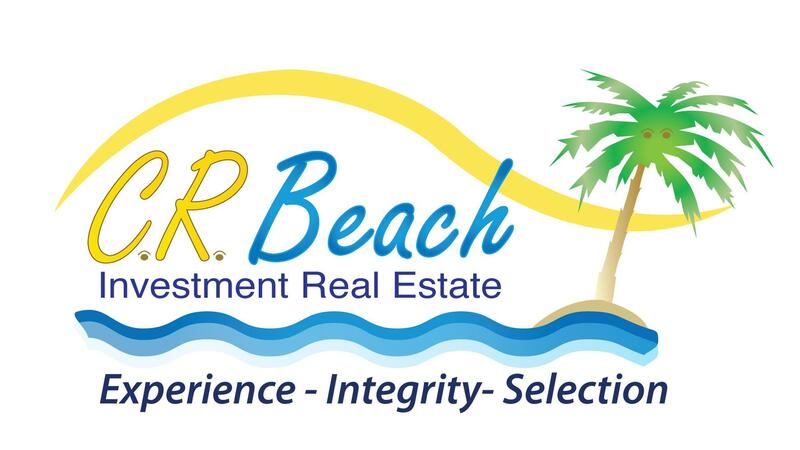 Probably 50% of our prospects are folks retiring in 5-7 years and interest is VERY strong in beach area properties. This percentage seems to grow every month. Even with a bad U.S. 2.) Stewart Title says "business is dying"? Perhaps that has more to do with the fact that international title insurance companies pay off so seldom on problematic titles. They won't issue it on anything that might be a problem and who would pay 1% for title insurance when the company does decide to issue it to them with virtually no chance to pay off on it? Here in the Central Pacific, selling prices are remarkably close to asking prices. In the past week our office has seen a $220K beach house go for $215K, a $195K new condo go for $192K and a Los Suenos home go for about 6% less than asking price. This trend of which you speak is not found here. 4.) Inventories quite high?. In the Central Valley, yes, this is true. I know of several nice condo projects that were completed 3 or 4 years ago with something like 20% sold. Many of these Costa Rican builders believe that the waves of ex-pats are coming, so they keep building them. Common sense says to wait until 90% of these unsold condos are bought before building more. 5.) Interest Rates Rising?. This is quite true. Is there anywhere in the world right now where they are not? "the fact that the st moritz project, a very chi chi development near los suenos has shut down (for now) must say something." "in jaco, there is a glut of unsold beach codos, but the cranes (our new national bird) continue to pour more concrete"
"glut" as a glut by any standard. Go to the Daystar office or Vista CR and get an update for yourself. They are the big boys in town some 10 beachfront projects. Invites you to check out our many other "Info Pages" on top!